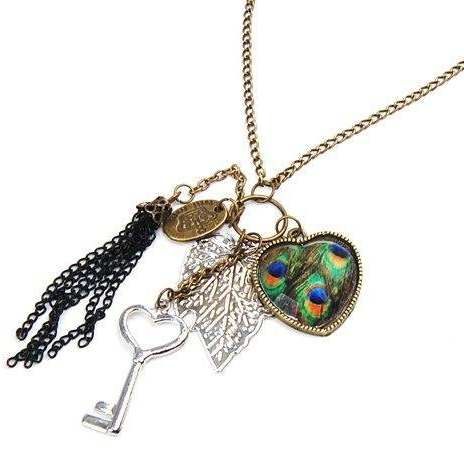 Key Charm Necklace Only $2.95 PLUS FREE Shipping! You are here: Home / Great Deals / Amazon Deals / Key Charm Necklace Only $2.95 PLUS FREE Shipping! peacock feather charm, key, leaf, crown coin and chain. Get your own Key Charm Necklace Only $2.95 PLUS FREE Shipping!